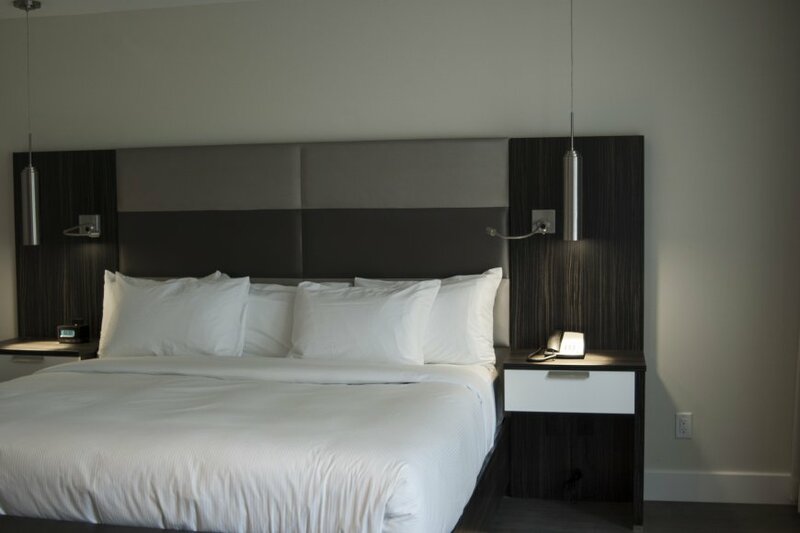 We offer a variety of completely renovated suites (45) and rooms (2) in a renewed chic and modern decor. 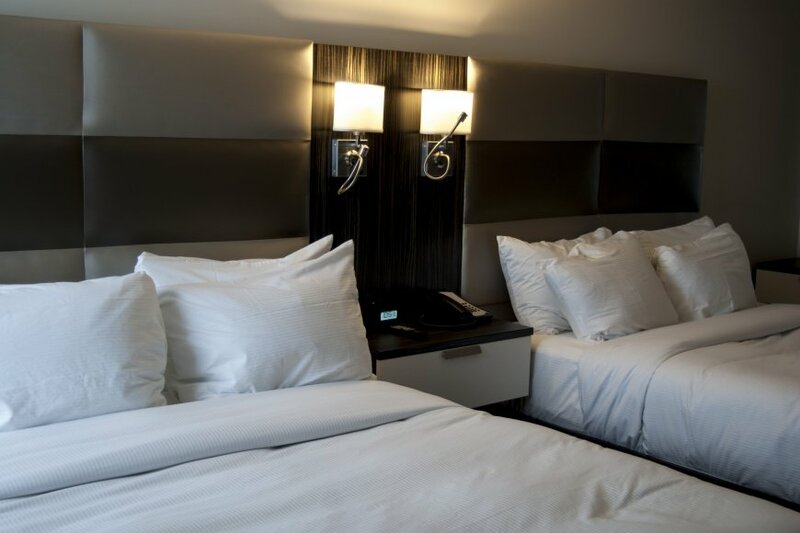 Our suites are furnished in a small condo-like style and include a fully-equipped kitchen: granite countertops, microwave, stove, refrigerator, etc., all of which rhyme with modern trends in a luxurious decor. 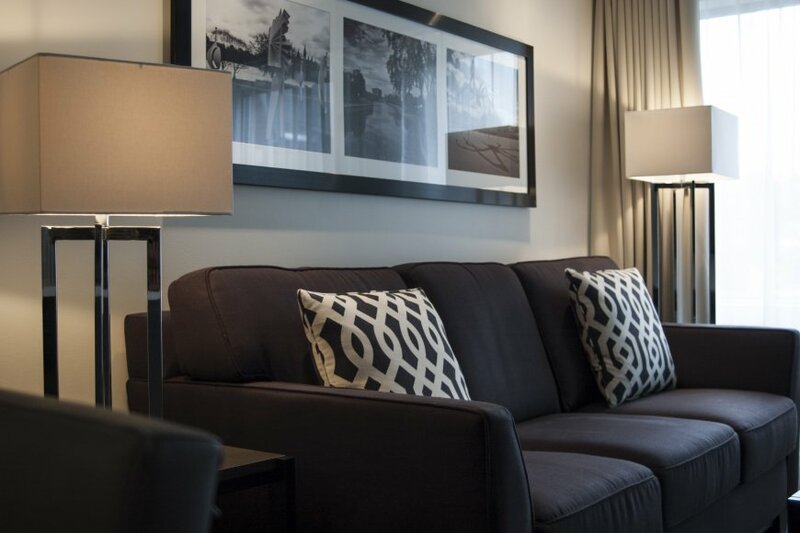 The suites are spacious, uncluttered and decorated with warm, neutral tones. Bathrooms offer spacious glass showers with ceramic tiling and the equipment selection will ensure your comfort. 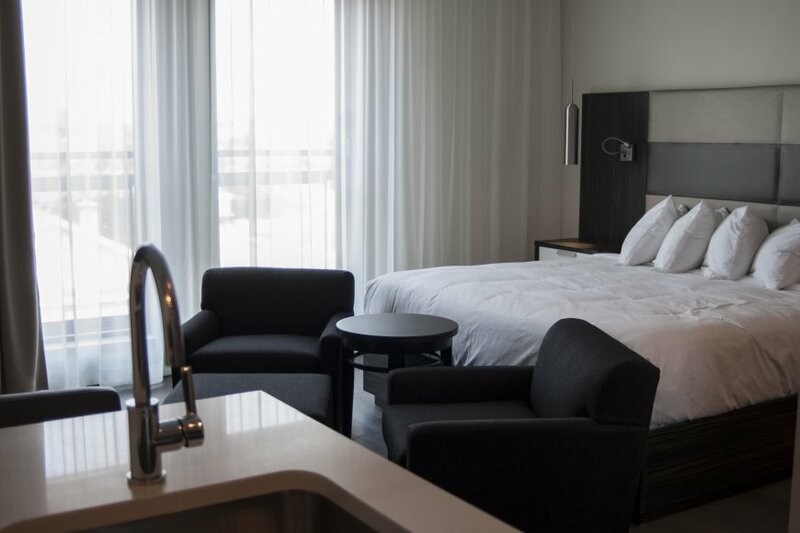 Whether it’s for a short or long-term stay, you’ll be charmed by the look, comfort and services that Suites Victoria has to offer. 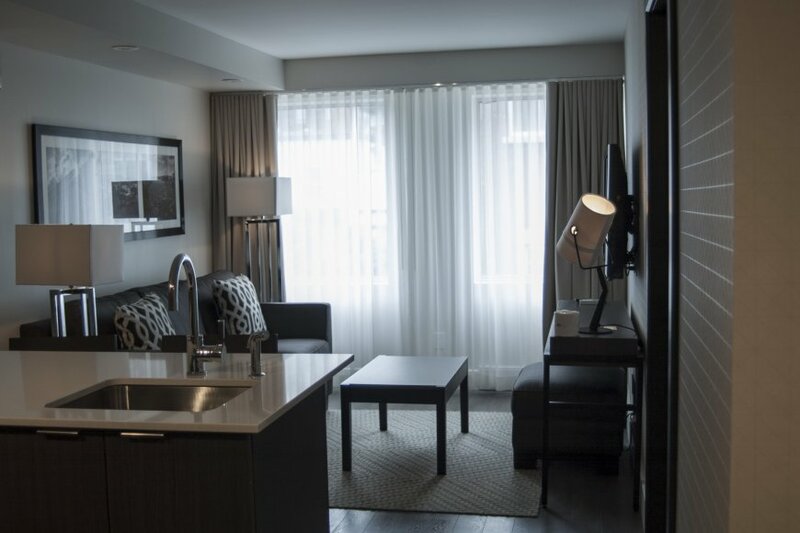 This luxurious suite includes a private bedroom with King size bed, living room with a second flat screen TV, modern kitchen with appliances and a lunch counter. Its chic and trendy bathroom has a large glass shower with ceramic tiling. This large suite with closed bedroom offers 2 Queen size beds and a living room with a Queen size sofa-bed. 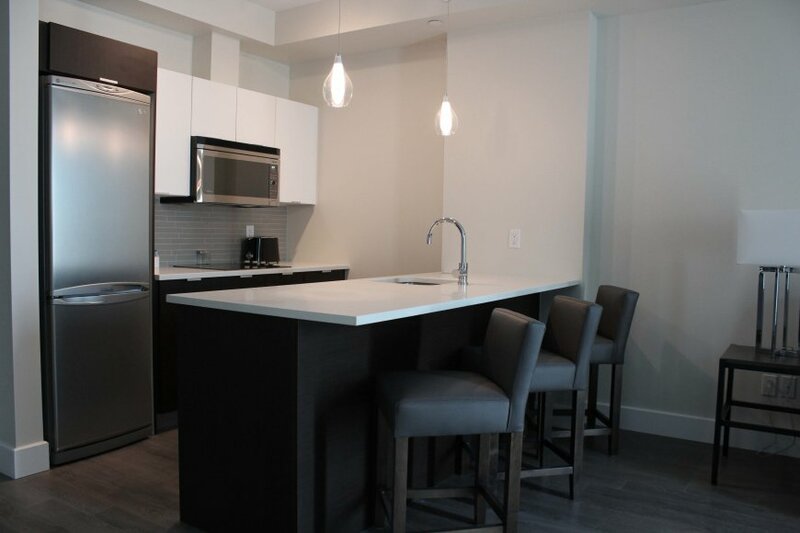 Just like a luxurious condo, the full kitchen comes complete with granite countertops and upscale appliances and also includes a dinette complete with table and 4 chairs. This suite offers a Queen size bed with separate bedroom and a living room adjacent to the fully-equipped kitchen. The living room offers a Queen size sofa-bed and a second flat screen TV. We also have 1 Queen suite equipped with a whirlpool. We have 5 fully-accessible and adapted suites for people with reduced mobility. Kitchen countertops are lower and the door openings wider, allowing easy wheelchair access. The all-ceramic shower also has a large opening that is wheelchair-friendly. These suites have a separate closed bedroom and a small living room, each equipped with its own flat screen TV. This studio style "bachelor" is a mini-suite with King size bed. Its full kitchen with granite countertops, contemporary cabinets, refrigerator, hot plate and microwave will meet all your requirements. We have 2 King type rooms, which are adjacent to and communicate with a Queen Suite 2. King rooms have a work desk, a small sitting area and a full bathroom with a glass shower with ceramic tiling. They also feature a large flat screen TV and access to the InnVue system.